Would you like to present your friends and family members with a welcome package or pick out a special gift for your bridesmaids? 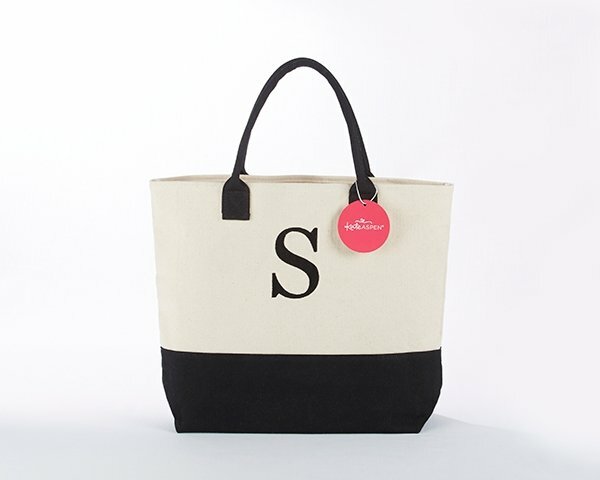 Kate Aspen’s Classic Black and White Monogrammed Tote Bag is the perfect accessory for any occasion, offering both function and sophistication no matter where go. In addition, these spacious, reusable bags are a stylish solution for transporting wedding favors or decorations, making it much easier to set up your event. Ultimately, this personalized piece is a simple yet unique way to commemorate your wedding day and make a long-lasting impression on your guests. 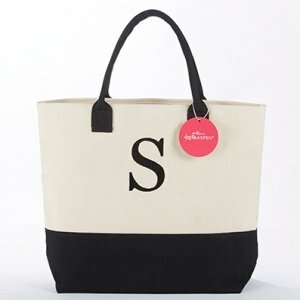 I was looking at the black and white Monogrammed tote bag, why is there no "P"? 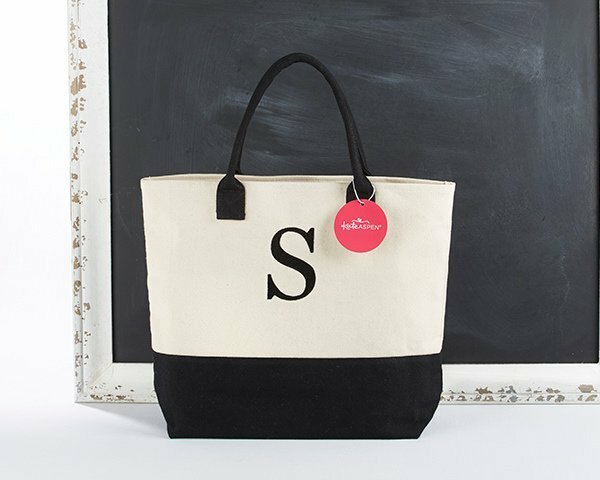 The Classic Black and White Monogrammed Tote Bag are pre-printed and some letters are not in stock yet. At this time, we only offer the letters indicated on our product page.